After an impressive array of developments in its space program, Iran announces that a semi-domestic telecommunications satellite is ready for launch. Iran's Minister of Communications and Information Technology, Reza Taqipour, said the Mesbah (Lantern) satellite has successfully completed pre-launch tests and is now ready for take off. 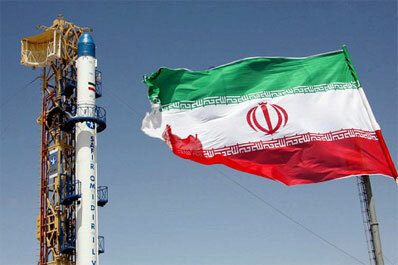 "The Mesbah satellite has been ready for launch for some time now," Taqipour told Mehr news agency on Sunday. 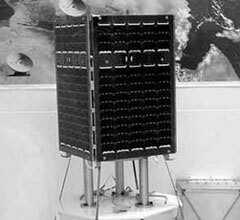 In February 2003, Iran and Italy agreed to cooperate on the construction and launch of the 60 kilogram (132 pounds) cube-shaped Mesbah satellite. Sadly for Iran, the first attempt to launch the satellite failed in 2005. 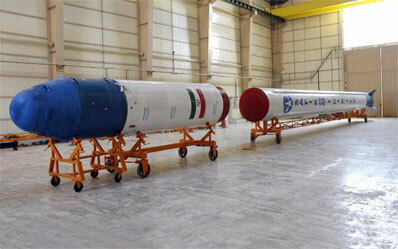 Taqipour said the main reason behind the unsuccessful launch of Mesbah was Iran's lack of self-sufficiency in aerospace technology at the time. “The main problem in the past, was the dependant nature of our space program. The Mesbah project was launched in cooperation with foreign countries and thus we did not succeed in carrying it out,” he said. Taqipour said the Mesbah satellite will now be sent to space from a launch pad inside the country. Earlier in February, Iran went down in history for placing its domestically-made satellite into orbit and thus joining a small group of countries that have the ability of both producing satellites and sending them into space using domestic launchers. 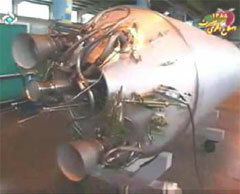 Omid is the third Iranian-made satellite to be sent into space. In 2005, Russia launched Iran's first satellite Sina-1, which carried photographic and telecommunications equipment. Three years later, another research satellite, which had been jointly designed by Iran, China and Thailand, was also sent into orbit. Iran is ready to launch its second homemade spy satellite, with the Safir 2 rocket (Messenger of Ambassador) already in position on its pad, DEBKAfile's military and intelligence sources report. The new satellite weighs 200 kgs, ten times more than Omid 1 (Hope), which was successfully tested only ten months ago, on Feb. 2. Tehran's missile program is clearly rushing forward at a rapid pace. In fact, some Western and Israeli missile experts suspect it may have overtaken North Korea and that Iran no longer stands in need of technical assistance from Pyongyang or Beijing. If the second launch succeeds, it would mean that Iran is capable of producing solid fuel-powered rockets with a range of 2,450-2,450 kilometers, which covers not only all of Israel but would reach as deep into Europe as the Polish capital of Warsaw. Heads of the Islamic regime in Tehran hope that the advent of a second Iranian spy satellite in Middle East skies, boosted by the new Safir rocket, will so astound the Americans and Israelis that they will think twice before going after Iran's nuclear installations. Most of all, they want Israel to count the cost of being subjected to their high-grade lethal weaponry before embarking on military action. In contrast to the Netanyahu government's outcry over the capture of the Iranian arms ship bound for Hizballah last week ("this is a real war crime"), Israel has made very little of two ominous spurts in Iran's progress toward a nuclear military capability. 1. On Nov. 4, US satellite photos were published showing that Iran had raised output at its Gchine uranium mine near Bandar Abbas and is producing enough raw ore for processing into two warheads a year. Tehran has shut this mine to UN watchdog inspections claiming its agreement with the IAEA does not cover mining operations. The agency is therefore unable to establish where the raw uranium is going. 2. On Nov. 5, US and UK media quoted IAEA sources in Vienna as asking Iran to explain evidence that its scientists have experimented with an advanced nuclear warhead design. They referred to the discovery of high-explosive components of a “two-point implosion” device that could enable Iran to eventually install small nuclear warheads on its ballistic missiles. Command of this process would short-cut and simplify Iran's path to fitting nuclear warheads on long-range ballistic missiles such as the Shehab-4 which is about ready to go operational. Iran is stonewalling on this international query too, continuing to dicker over every Western compromise proposal while racing ahead with its plans. TEHRAN, Nov. 10 (Xinhua) -- Head of Iran's Aerospace Industries Organization (AIO), Mehdi Farahi, said Tuesday that Iran will launch its second research satellite in 2011, local satellite Press TV reported. Iran has drawn up its final schedule to launch a semi-domestic research satellite as a part of Tehran's attempt for an independent space program, the report said. "The completion of the semi-domestic research satellite dubbed Mesbah (Lantern) is another recent achievement of Iranian aerospace experts," Farahi was quoted as saying. "Mesbah has a life-span of three years. It ... can gather information from various parts of the planet and transmit it back to earth," he said. "Italy will cooperate with AIO to send Mesbah into space. We hope the launch will be carried out successfully in 2011," Farahi added. The satellite is low earth orbiting (LEO) which can be located at orbits of 250 to 1,000 kilometers above the earth's surface. 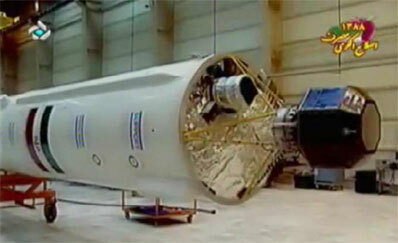 Mesbah will weigh 63.5 kg, some 2 times of Iran's Omid satellite, according to the report. In February, Tehran launched its first lightweight Omid telecommunications satellite, its first home-made satellite, successfully into space by the Iranian-produced satellite carrier Safir 2. The U.S. administration of President Barack Obama linked Iran's new developments with its nuclear disputes and viewed Tehran's efforts to develop nuclear capability. Also, Israel urged that the international community should tighten sanctions on Iran in light of its launch of the first home-made satellite. GMT+8, 2019-4-23 08:31 , Processed in 0.390001 second(s), 20 queries , Gzip On.